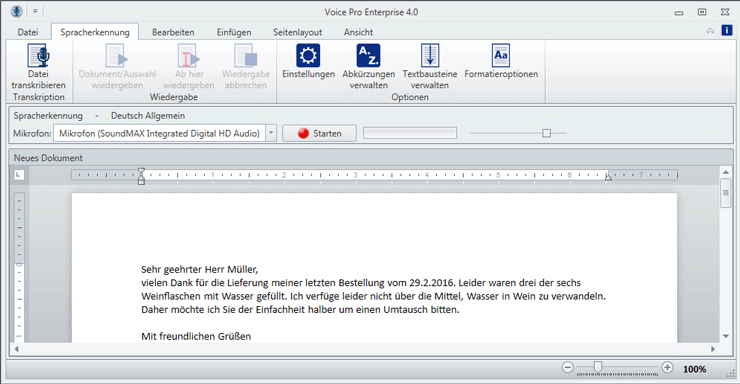 With Voice Pro Enterprise 4.0, you can write as fast as you speak. On average, you will write three times faster than you type. And you won’t have to worry about spelling mistakes or typos. For the first time Voice Pro Enterprise 4.0 uses the technology of neural networks, a special area of artificial intelligence. This enables speaker-independent recognition at the highest level. No more time-intensive speaker training is required. Speech recognition is available to all employees whenever it is needed. Voice Pro Enterprise 4.0 will do the job. The huge language dictionary with 1 million words already covers almost all subjects. 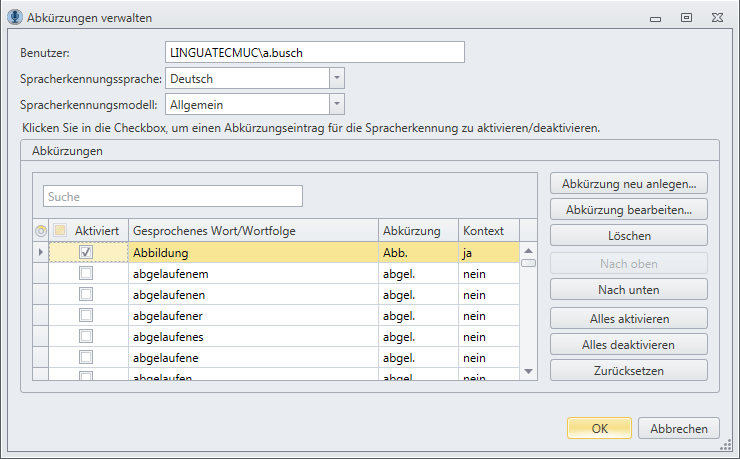 The user can add customized words e.g. proper names and technical terms. Voice Pro Enterprise 4.0 adapts to individual speaking habits. Recurring texts can be defined as text blocks. Just use the command, e.g. 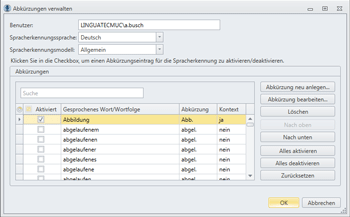 “default signature”, and the whole text block will be inserted. In addition to the recognized text the dictation is also retained as an audio file. This makes the final control (by the user or his secretary) quite simple as text and audio are still available. Your data remain where they belong to: within your company. 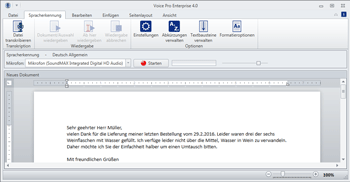 With the server solution Voice Pro Enterprise 4.0 the transcription takes place on company servers without any need to foreign servers. User rights can be configured individually. Both automatic distribution of client application in Windows (MSI) as well as in Linux networks (Java Web Script) are possible. Authentication and authorization of the user can easily be done via the existing Active Directory as well as via LDAP. Voice Pro Enterprise 4.0 leads to a noticeable increase in efficiency and pays off already after a short period of time.